Essential oil blends that smell like a Christmas tree are hugely popular at this time of the year. You’ve got to admit, there is something about that smell of a live Christmas tree that makes the holiday season feel complete. The aroma is warm, comforting, and just so … Christmassy. One way to fill your rooms with that wonderfully familiar aroma is by making your own essential oil blend that smells like a Christmas tree. Yes, you can create these Christmas tree diffuser blends easily by simply combining a few drops of select individual essential oils. There are a few different essential oil combinations that you can experiment with or you can customize the basic recipes below to suit your preference. Simply put a few drops of any of the blends below in your favorite diffuser and within a few minutes, you will get that lovely scent of a real, live tree. This first recipe is the most popular of all essential oil blends that smell like a Christmas tree. 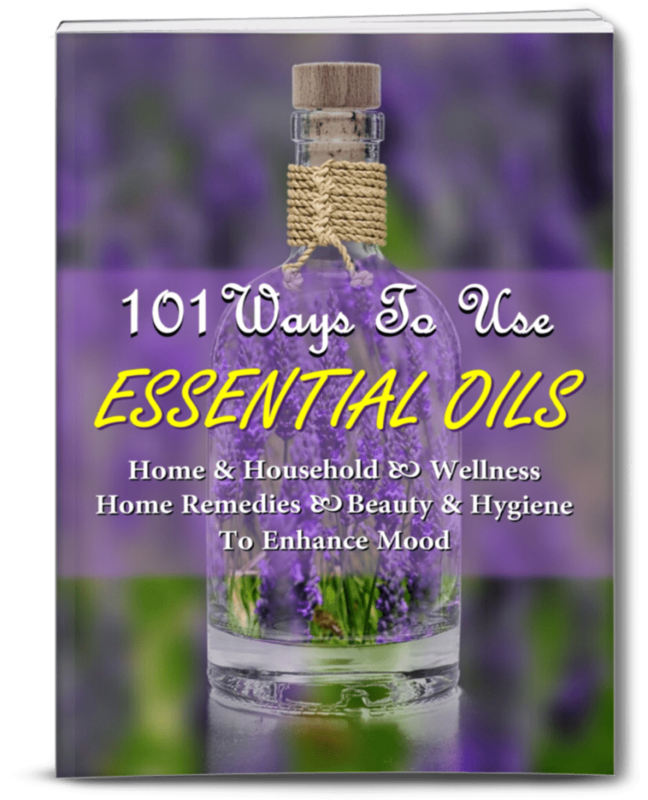 This blend uses basic essential oil scents that are often used to make forest or woody scents. When combined together in the proportions mentioned below, you will get an essential oil blend that smells just like a live Christmas tree. Fir is one of the most commonly used oils that is used to create Christmas tree scents. The Cypress oil adds to this woody scent and complements it beautifully. You can use Spruce Oil instead of Cypress when creating this traditional Christmas tree blend. The addition of nutmeg and orange oils give the blend a little extra spice and fruity scent. Using fir, cedarwood and juniper berry is another combination of woody and fruity essential oils that make a blend that smells just like a Christmas tree. 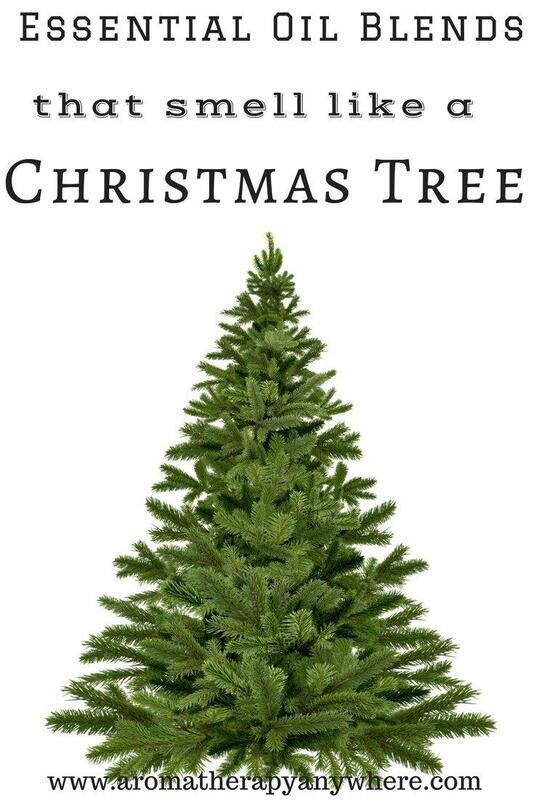 Fir Needle essential oil is also a major component that is used to create the Winter Woods Christmas Tree Blend. 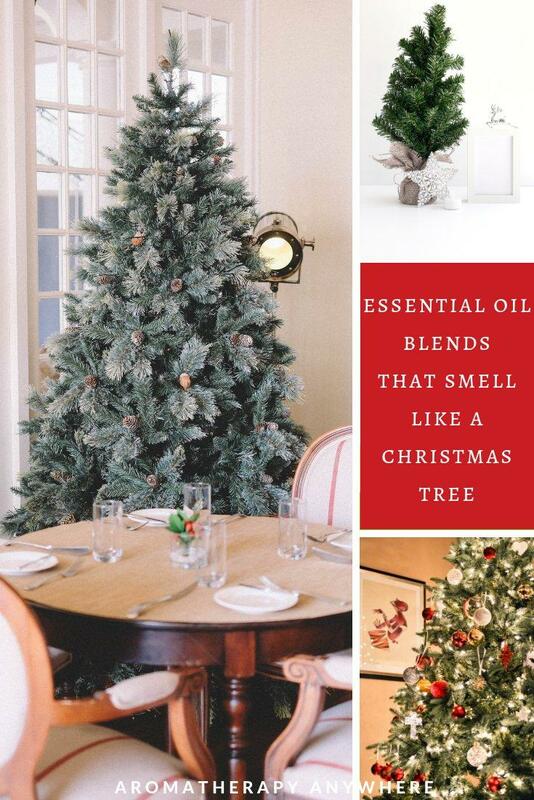 It’s no surprise really as the scent fir needle oil most closely resembles a live Christmas tree. Cedarwood gives the blend another type of woody aroma, which gives it that subtle complexity that you want in a blend like this. Juniper berry has a slightly sweet and slightly woody scent, making it the perfect addition to this blend that smells like a Christmas tree. This fun Christmas tree blend starts with two basic essential oils – pine and cedarwood. Both of these are basic scents that are used in most essential oil blends that smell like a Christmas tree. You can replace either of these scents with fir oil if you already have it and do not want to buy yet another essential oil. Add a drop of Spruce essential oil to the basic scent. This oil contains some of the pine scents, along with limonene, lemon, and grapefruit oils mixed together. It has a fresh, forest-like smell that gives the blend a wonderfully refreshing aroma. The Fir Needle oil is what makes the blend smell more like a Christmas tree. The addition of cassia adds a subtle hint of sweetness to the blend and wild orange gives it a wonderful earthy aroma. The aroma of wild orange is quite different from that of sweet orange. It is less sweet and has a slightly more earthy aroma as compared to sweet orange essential oil. 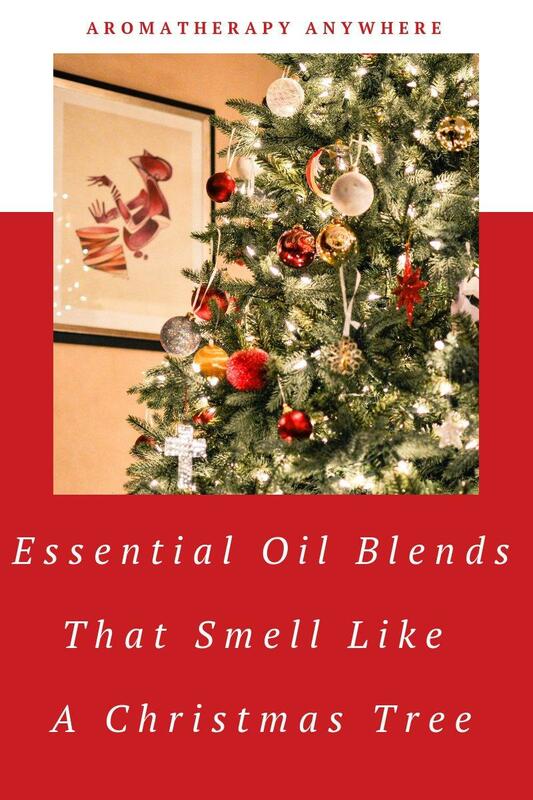 This blend contains a combination of all the Christmas tree scents. The result is an essential oil blend that smells unmistakably like a Christmas tree. 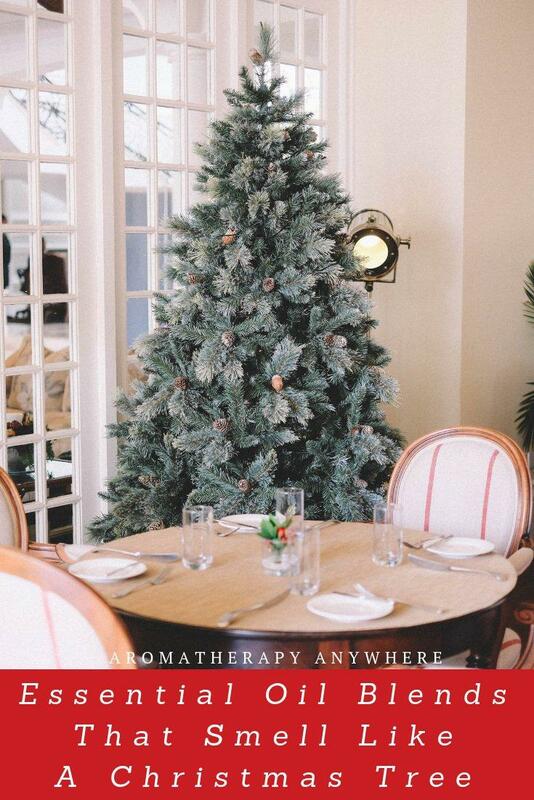 Diffusing essential oil blends that smell like a Christmas tree is a great way to recreate the scents of a live tree, even if you don’t have the space or resources for the real thing. Plant Therapy is my go-to brand for all my essential oils. All of their oils of 100% and of the highest quality and when you buy directly from their online store, you can avail of fantastic discounts AND free shipping, which add up to substantial savings. 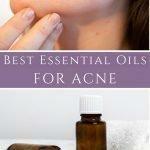 You can also find Plant Therapy essential oils on Amazon.com. With not much more time to go before Christmas, it’s time to pick up your essential oils and create your favorite diffuser blend that smells like a Christmas tree. I know it’s cliche, but I’m going to say it anyway – There really is no limit to the many ways you can use your Christmas Tree Essential Oil Blend. You can use it to make scented pinecones, which you can then insert in your Christmas Wreaths, use as part of your table decor, or place in various rooms by themselves. Put a few drops in your Reed Diffuser. Reed diffusers are truly versatile. You’ll find some few cool ideas here for making and using different types of reed diffusers. Wish you could find a way to transport that refreshing aroma in your car? Here are a few easy ways to make your own car freshener scented with your favorite essential oil blend.